If voucher program money was in public schools' tuition support, this is how much more funding local public school districts would receive. We are building this page out day by day until Nov. 6. 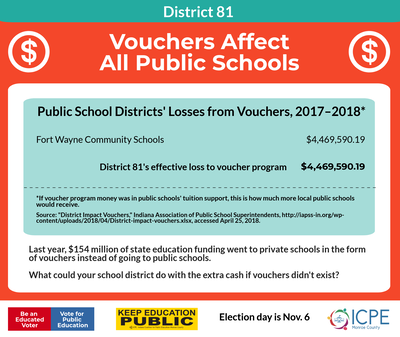 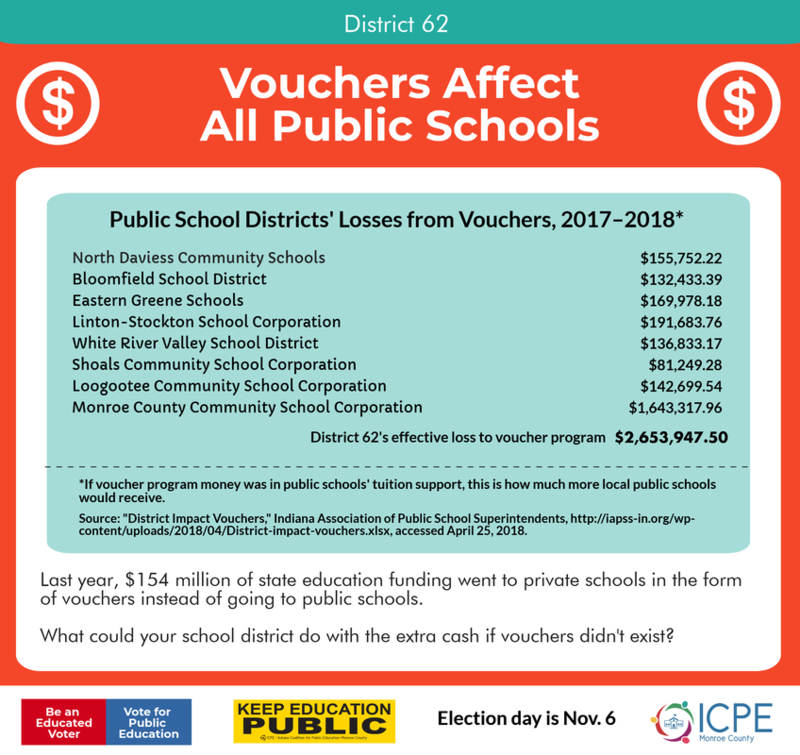 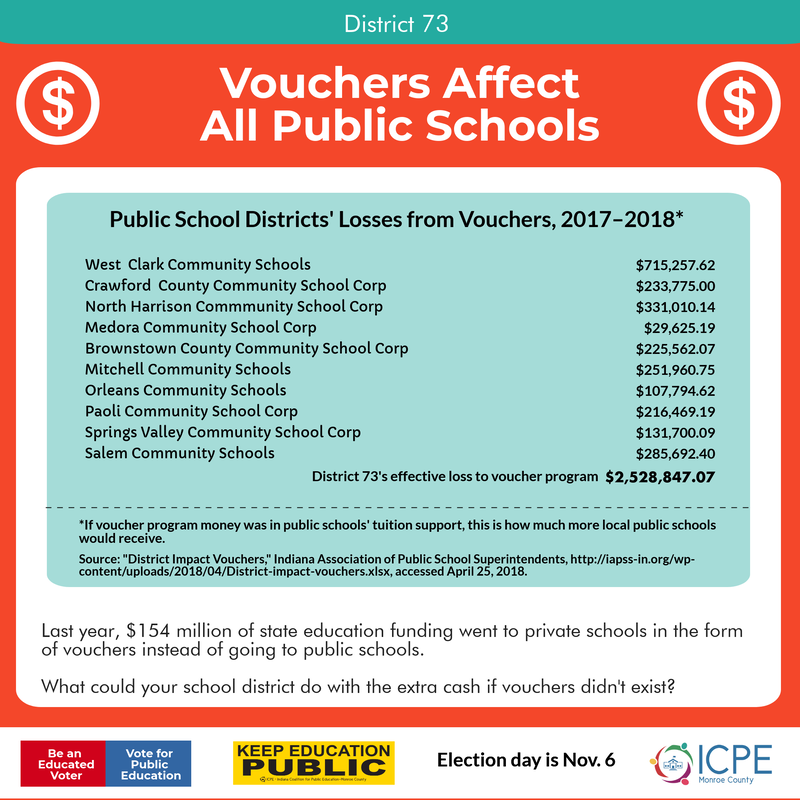 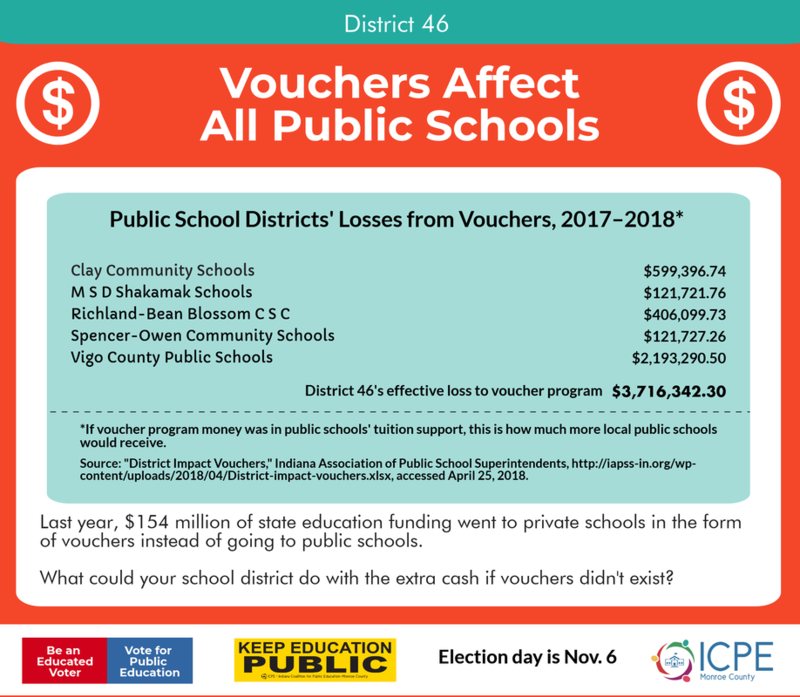 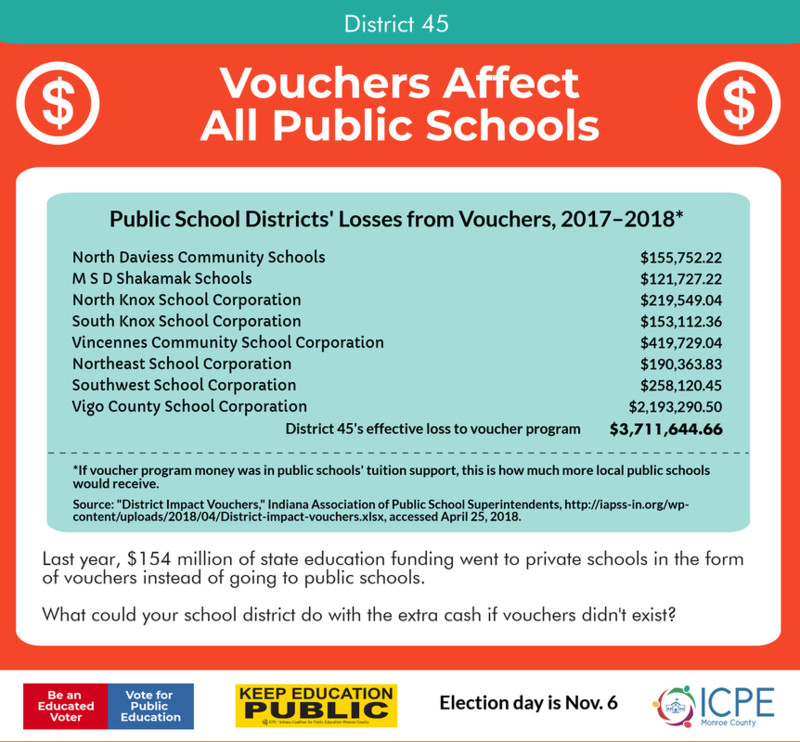 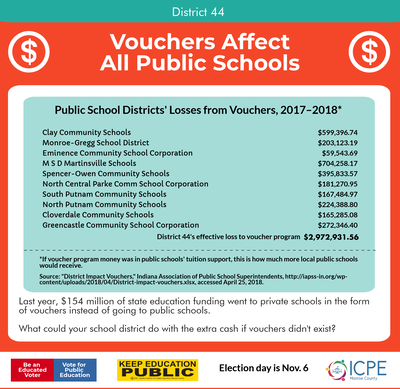 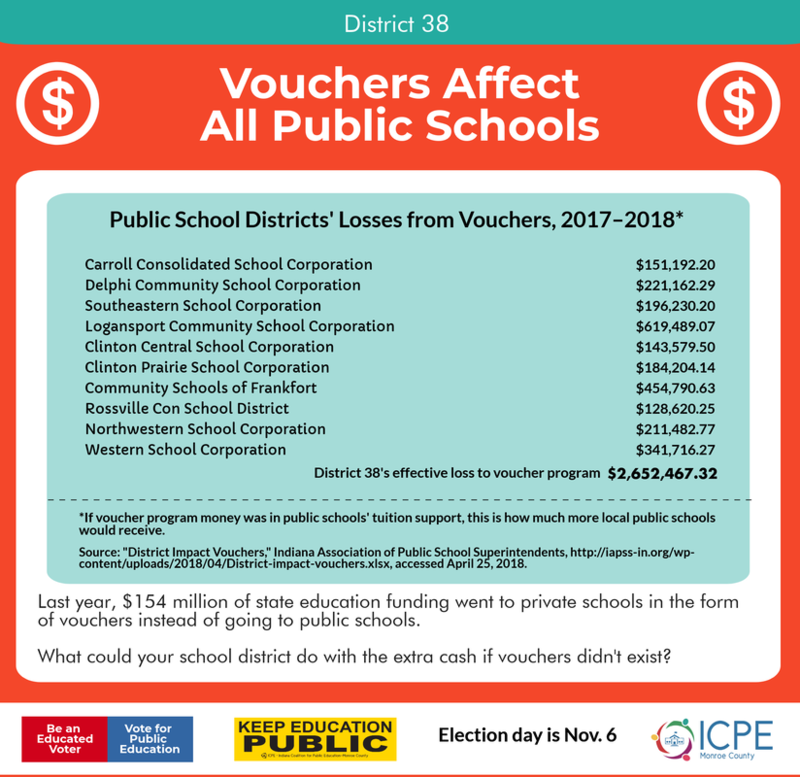 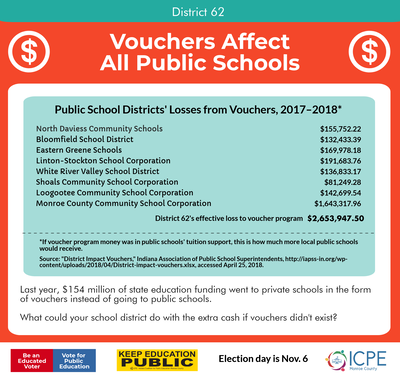 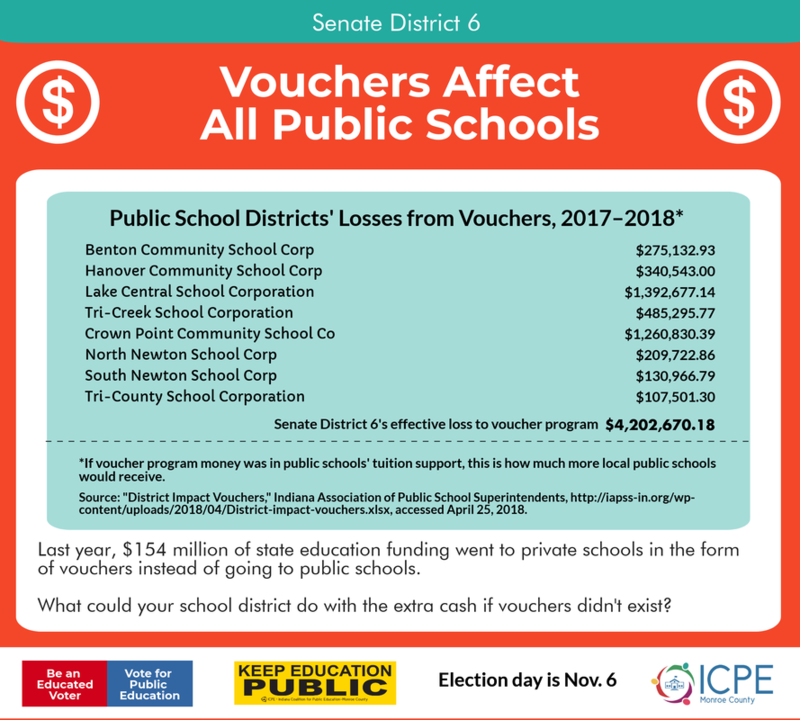 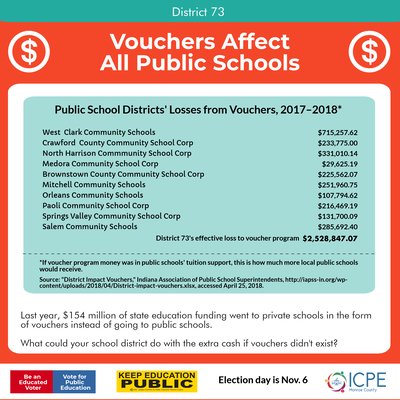 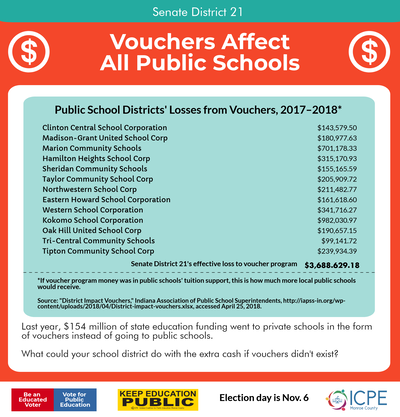 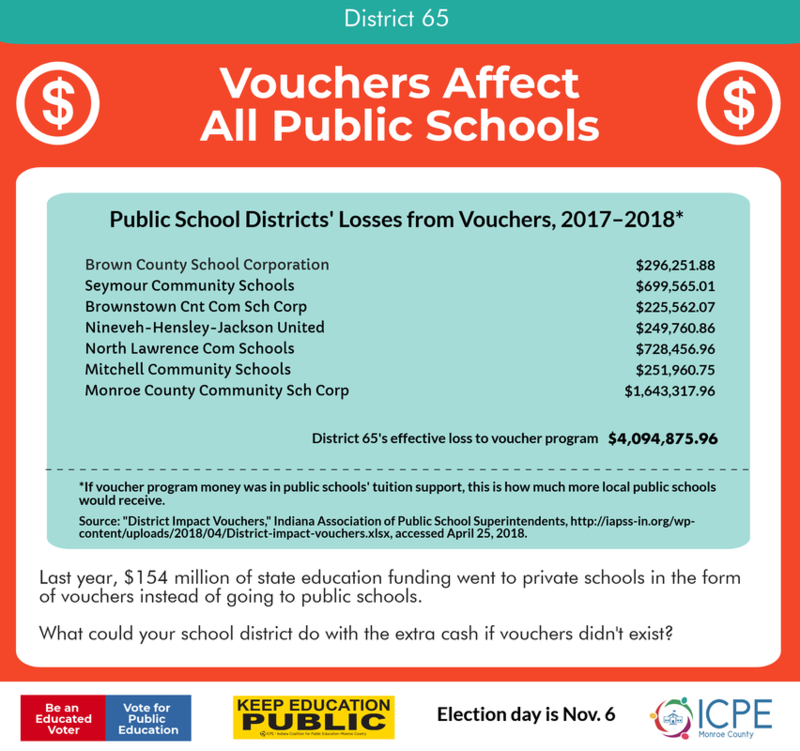 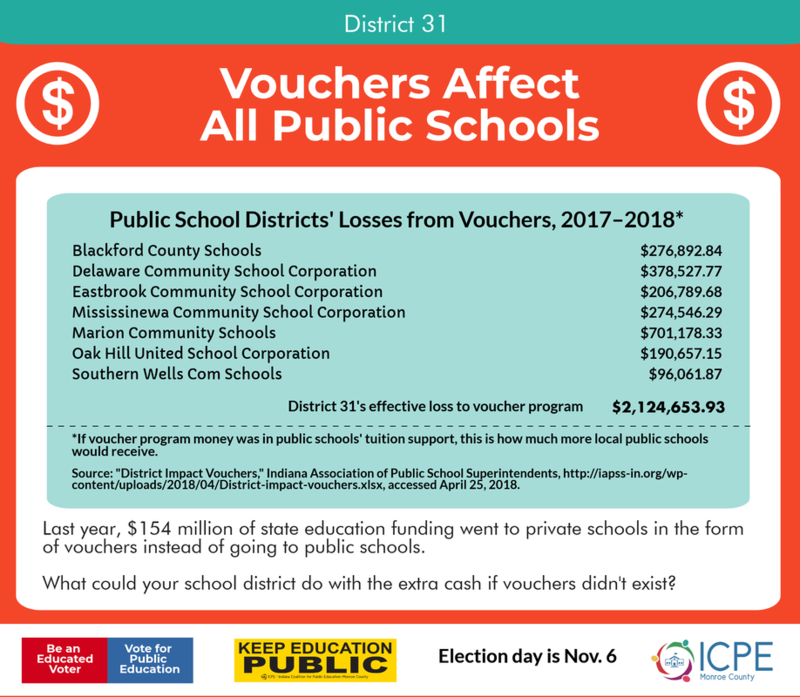 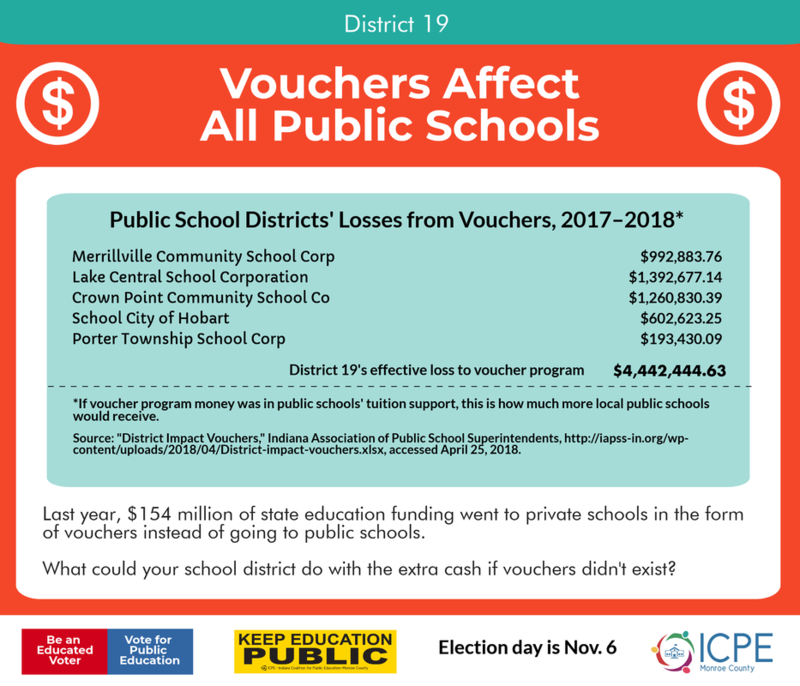 Below are voucher loss by House and Senate districts. ​Unsure of your district? Find it here. House district map is here. Senate district map is here. Because the public deserves to know that Indiana's education budget is underfunded. Why would our legislators allow money from an underfunded budget leave to fund private school education when public school funding needs are going unmet, requiring many districts to pass referendums just to make ends meet? 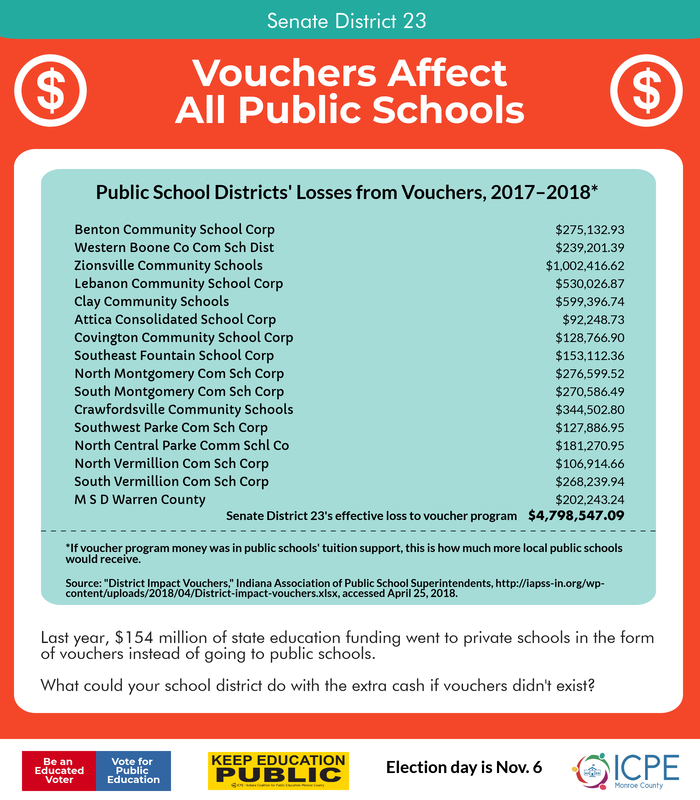 This underfunded model is causing community rifts. Your vote matters when it comes to state legislators. They hold the purse strings when it comes to education funding in Indiana.